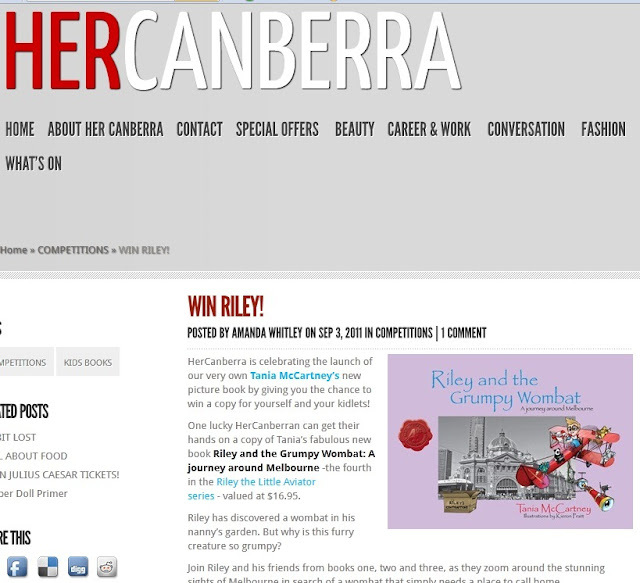 Want to win a copy of the latest Riley book? The lovely Amanda of HerCanberra is offering a giveaway on her fabulous site - head there now and check it out! Join the Riley and the Grumpy Wombat Blog Tour!